As experienced hurricane adjusters, with over a decade of combined experience handling claims for wind, roof and water damage, All Claims USA is the PREMIER choice for homeowners and business owners of Florida needing Hurricane Irma claim help. With a A+ BBB rating, whether you live in Boca Raton, Lighthouse Point, Naples or Delray Beach, FL All Claims USA will work for you, handling your entire claims process and negotiating the maximum settlement for your insurance claim. Why Hire a Public Adjuster for Hurricane Damage? Moreover, insurance policies are complex and can be difficult to decipher. 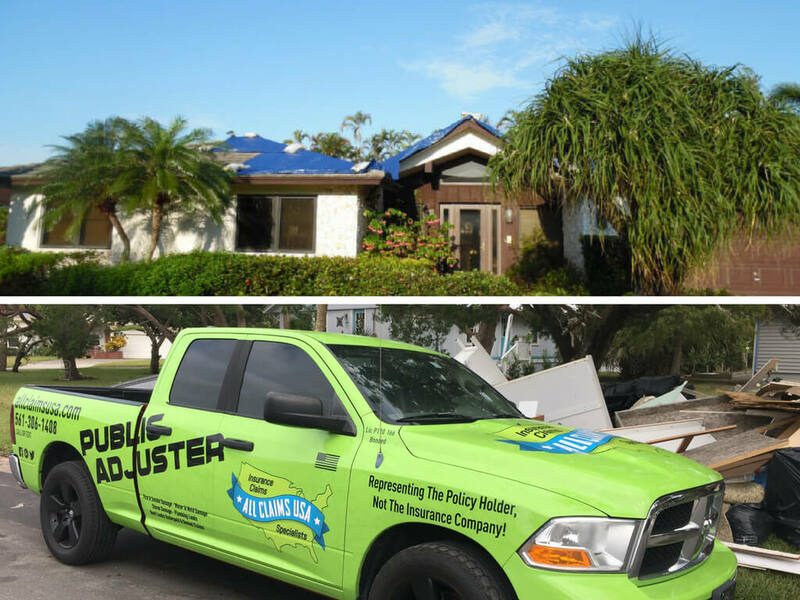 With a public adjuster at your side, you can focus on rebuilding while we handle the negotiations with your insurance company. In short, when a catastrophic insured event, such as a hurricane the likes of hurricane Irma, strikes, a public adjuster can be invaluable. Based in Boca Raton but serving ALL of Florida, including Naples, Delray Beach and Lighthouse Point, All Claims USA has the experience and knowledge necessary to get homeowners a maximized claim for roof damage and wind damage. Contact us for Hurricane Irma claim help today! At NO cost upfront, a public adjuster for hurricane damage (including roof leaks and roof damage) can be at your service! Our services are not just limited to homeowners. Owners of commercial property damaged by a hurricane, such as Irma, can depend on our experienced team to skillfully handle commercial property damage claims. Whether you're in Boca Raton, Lighthouse Point, Naples or Delray Beach, call 866-900-8811 today for a free consultation.